I have clients who keep me as a “photographer on call” to capture messaging central to their brand. 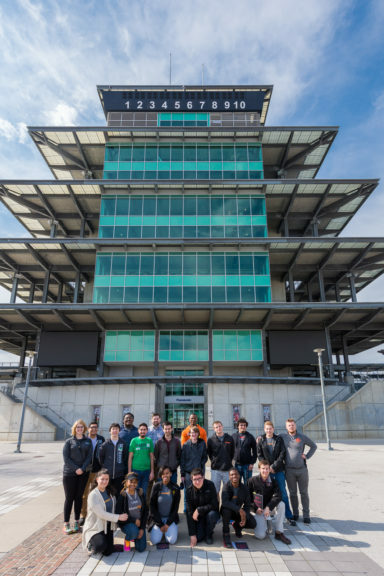 Nextech, an Indianapolis not-for-profit focused on bringing tech to students, is a perfect example. They are committed to telling the story of the impact they have on their participants through brand photography. 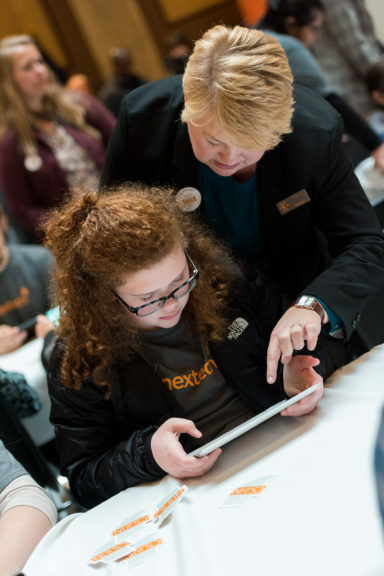 Located in Downtown Indianapolis, Nextech immerses high school juniors and seniors in tech-related classes, trains teachers how to teach coding, and works with elementary students to inspire them to follow the STEM track. The organization got its roots as a program within the Exact Target Foundation, and eventually spun off on its own. I’ve known the leadership team for years, so it has been fun to watch their evolution. 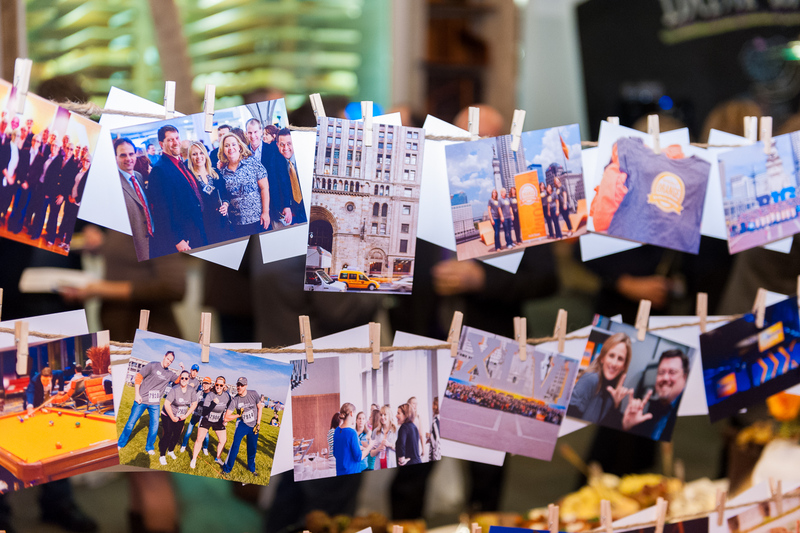 Nextech is committed to using their own high-quality imagery to tell their brand story. Their goals is to show how they help students and teachers feel confident in using and teaching tech. Professionalism is important to their messaging, so rather than using pictures snapped on a cell phone or stock photography, they bring me in to their events to snap candid and formal shots of them at work. 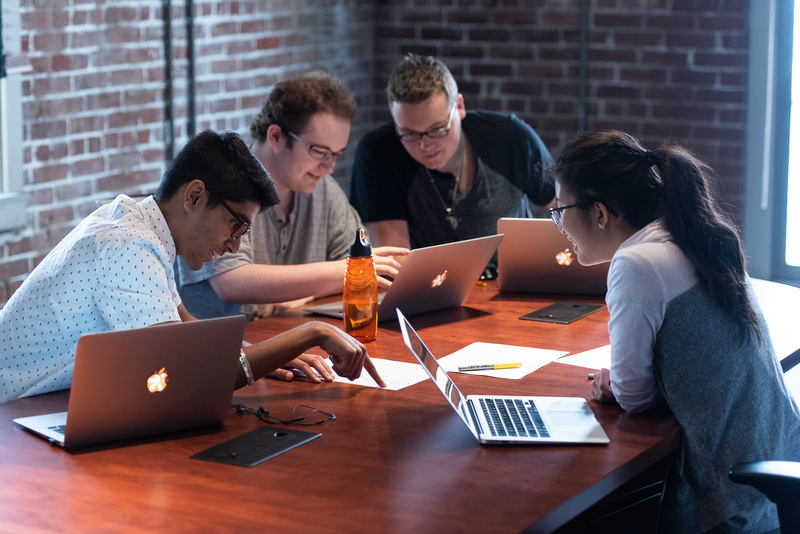 “Collaboration is fun” is how I would describe the main theme of the images I take for Nextech. They bring me into the classroom, workshop or other events and ask me to be a fly on the wall. I wait for moments where students, mentors and leaders look like they are having a quality conversation or an enjoyable moment and grab the shot without them even knowing. My camera is ready for the right gesture, smile, or laugh that will capture the essence of the activity. I also take headshots of the team, as well as participants whose quotes about their experiences will be used on the Nextech website. Professional photographers bring their experience and knowledge to their work. Beyond knowing how to capture the right mood through candids, lighting and editing are central to the success of the shoot. When I arrive at the event facility, I always hope for a window for some natural light, but I always travel with my light kit just in case. I also try to match the light on my camera to the color of the room’s light to reduce the common blue or yellow cast that emits from natural or artificial sources. Also, it can be necessary to do some work in the editing room, compensating for dark rooms or color. 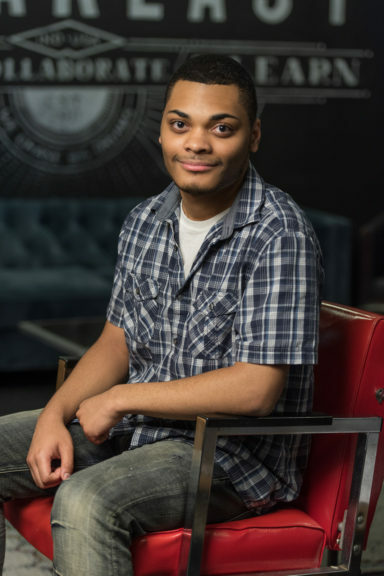 “My first experience with Paul was when he was doing headshots for our Catapults– groups of high school students who come in for the summer to learn coding and get introduced to the Indianapolis tech industry. A lot of these kids have never been in front of a camera before let alone a professional photographer. Some had no idea what a headshot was. They were enamored with Paul. He came in got these kids from all walks of life to get comfortable with the camera. He was very good at speaking to the audience he was working with. Since then I have worked with him on other projects where he is capturing candid shots for us. He is very good at being inconspicuous so people relax. He is then able to capture exactly what we intended. Finally, he gives us the proofs of only the best of the best to sift through, using our time wisely. We have a lot of events photographed, so we really appreciate this tactic. Thanks, Sarah! If your organization is interested in telling its story through brand photography, you can contact me here.